Samsung launched the S3 in India yesterday at an MRP of Rs. 43,180, which seemed too costly. But in reality the MRP (Maximum Retail Price) is much higher than the MOP (Market Operating Price). 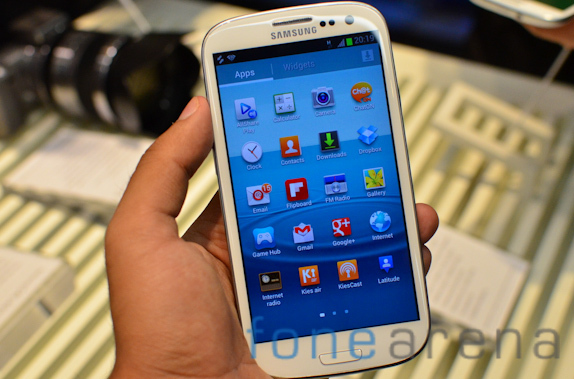 The MOP for the Galaxy S3 is expected to be between Rs.37000 to Rs. 39000. 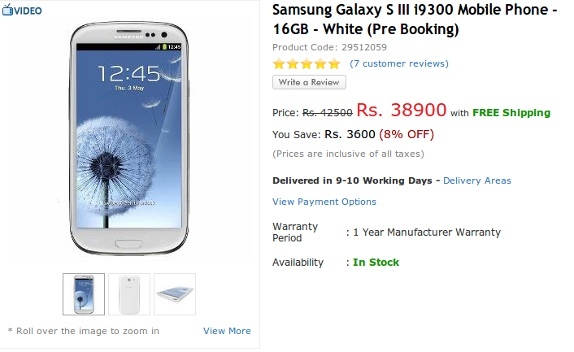 It is clear from 2 online retailers Flipkart and HomeShop, where the Galaxy S3 is now available on pre-order for a much lesser price. 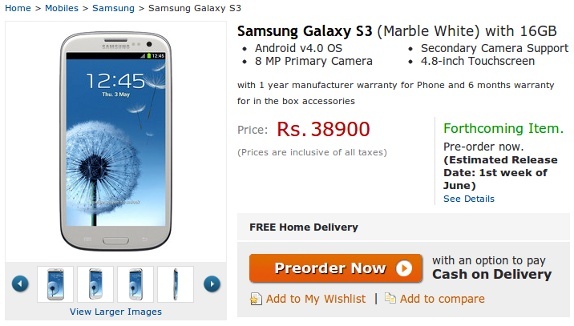 The Samsung Galaxy S3 is on pre-order from online retailer Flipkart for Rs. 38900. It is expected to be in the 1st week of June. It is also available for pre-order from HomeShop18 for Rs. 38900 with expected availability of 1st week of June. It is available from Buytheprice for Rs. 38,900. It is expected to ship on 5th June. 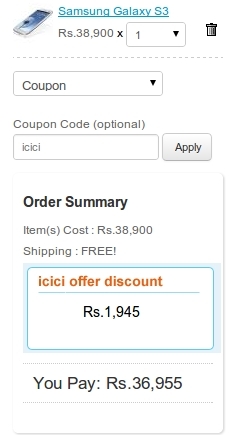 They also offer Rs.1,945 discount for ICICI customers (Type the coupon code ICICI in the box on the right during checkout) . So you just pay Rs.36,955. It might be available in the market as low as Rs. 37,000. We just ask you wait for a week before buying it too soon. As Samsung said at the launch, the Pebble Blue version would be available next week.